By Audrey Golden. Jun 28, 2017. 9:00 AM. Are you interested in Scandinavian design, or aesthetic forms that emerged from the Nordic countries, after World War II? Then you might be interested in learning more about collecting related design books. When we talk about Scandinavian design, we’re largely including Finland, too, although it’s not technically part of Scandinavia. Rather, it’s one of the Nordic countries, of which the Scandinavian nations of Norway, Sweden, and Denmark are also a part. However, when the popularity of design from the Nordic countries reached the United States in the 1950s, the common description was “Design in Scandinavia.” This depiction comes from a traveling exhibit of the same name that featured Scandinavian arts and crafts, as well as industrial design. We’d like to talk a bit more about the exhibit, and introduce you to some interesting and rare books you might seek out for your collection. “Design in Scandinavia” in the U.S.A. 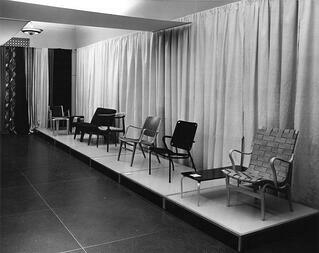 The now-famous (at least within the museum and design world) exhibit “Design in Scandinavia” was a traveling exhibit that visited 24 different museum sites in the U.S. and Canada between 1954 and 1957. How did it come to be? In Europe, it was “organized as a joint enterprise by the national associations of craft, applied art, and design in Denmark, Finland, Norway, and Sweden and the American Federation of Arts,” according to the scholar Jørn Guldberg. Its first appearance was at the Virginia Museum of Fine Arts in Richmond, Virginia—the museum that was instrumental in bringing the exhibition to the Untied States. It went on to nearly two dozen additional museums, including the Brooklyn Museum, the Carnegie Institute in Pittsburgh, the Art Institute of Chicago, and the San Francisco Museum of Art. There are two highly collectible texts from the exhibit: a catalog entitled Design in Scandinavia, and an additional text entitled Directory of Arts and Crafts Resources in Denmark, Finland, Norway, and Sweden. Svenska Slöjdföreningen, who was president of Svensk Form at the time of the exhibit, wrote the introduction to the catalog. There are some copies floating around for sale, although they can be expensive, and many no longer are in fine condition. The catalog initially was published in Oslo, Norway in 1954, but a subsequent reprint in 1960 made it available to more interested parties. If you’re more interested in collecting ephemera and have a passion for Nordic design, there were some other materials from the exhibition in various cities to which it traveled that could be appealing. For instance, in a number of cities where the exhibition traveled, there were posters advertising its contents for American viewers. Another interesting textual object connected to the exhibit is a copy of the journal Interiors from May of 1954. In this volume of the journal, Edgar Kaufmann, Jr., a director of the Industrial Design Department at New York’s Museum of Modern Art (MoMA), as well as an art history and architecture professor at Columbia University, wrote an article about the exhibit that became widely circulated. Intact copies of the journal are scarce but could be exciting additions to your Nordic design collection. If you’re more interested in fabrics, then we also have some recommendations for you. For example, you might seek out a copy of a Svenskt Tenn catalog featuring the textiles of the Austrian-born Swedish designer Josef Frank, whose brightly colored fabrics are connected to his work for the Swedish design company of the same name. 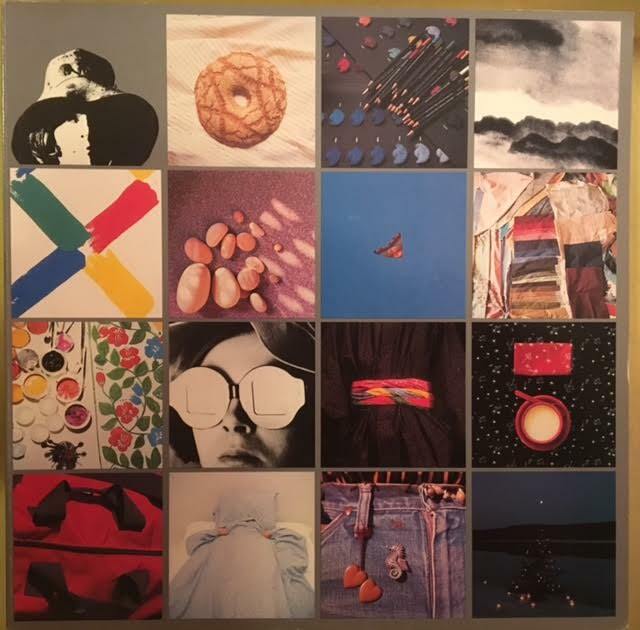 Svenskt Tenn published a number of catalogs for the textile work of Frank, from the 1950s (when he was designing for the company) into the 1970s after his death. And if you are indeed interested in Nordic fabric designs, please don’t forget to seek out a Marimekko catalog. Marimekko is a Finnish textile and design company headquartered in Helsinki that was founded in 1951 by Viljo and Armi Ratia. Two of Marimekko’s most famous modern textile designers were Vuokko Nurmesniemi and Maija Isola, whose designs can be seen in both color and black and white in some of the Marimekko catalogs from the 1950s and 1960s. Naturally, there are more important Nordic designers than we could possibly list here. We invite you to seek out some of the texts we’ve mentioned while also exploring the books and catalogs of some of the architects and textile artists whose work particularly strikes you.